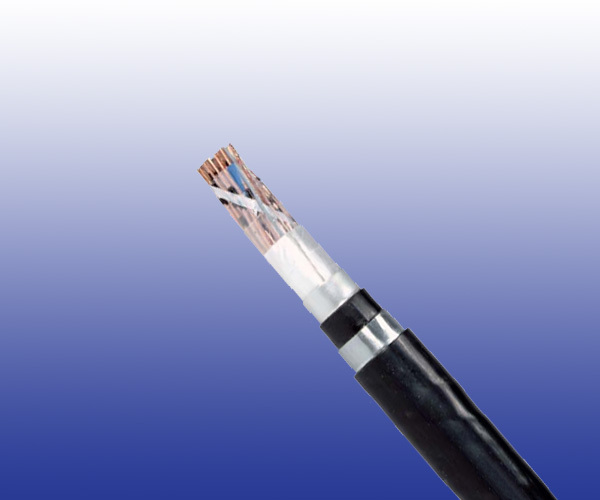 The cables are designed for transmission of low frequent signals up to 90 KHz through symmetric circuits in railway networks, and are suitable for laying directly into the ground or in ducts. Conductors Solid Annealed copper, 0.9 or 1.4 mm nominal diameter. Stranding Quads are helically stranded in concentric layers. Cables from 7 quads on, have two extra conductors of 0.5mm with perforated insulation (surveillance conductors). Moisture Barrier One laminated sheath made of aluminium tape (0.15mm) coated with PE-Copolymer on at least one side is applied with longitudinally overlap. Inner Sheath Low density polyethylene. Electrostatic Shield One layer of helically applied copper wires (0.9, 1.2, 1.4 or 1.8mm). Electromagnetic Shield One helically applied steel tape (0.2-0.3mm) or two helically applied steel tapes (0.1mm). Outer Sheath Low density polyethylene.